According to a recent study by Search Engine Watch, users are interacting more with brands through local search. These interactions go beyond just calling a business. Users are booking appointments online, placing orders, and writing business reviews, no matter if they’re good or bad. 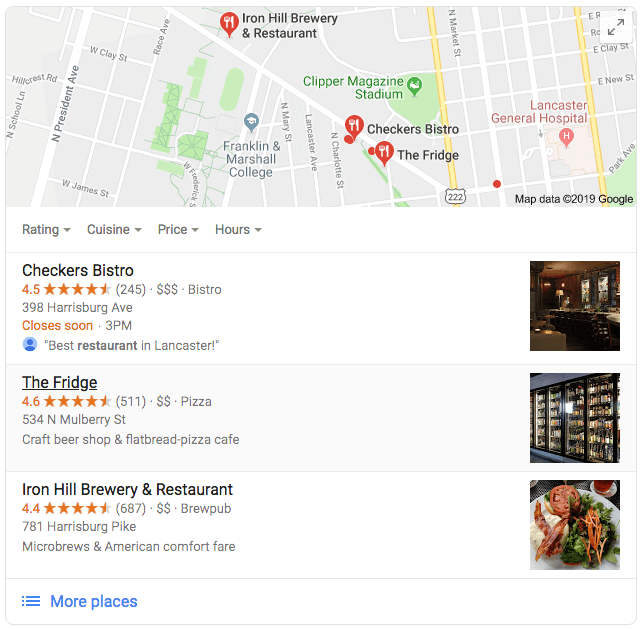 With local search on the rise, it’s never been more important for small businesses to evaluate their local SEO strategy to compete with larger brands in the digital space. Local SEO involves optimizing your site to make it more visible in search results for local search queries. We’ve all seen this lovely box above organic results. How does local SEO differ from your current SEO strategy? Like traditional SEO, local SEO is all about determining who your audience is, what they’re searching for, where they’re searching, and how you can get your business in front of them. The only difference is that you’re creating content that is geared towards those local searches. Once you’ve reviewed some key basics, we can begin to take steps to get your business in a better position for local search. Before you do anything else, make sure you claim your Google My Business profile if one already exists for your business. This is a top ranking factor for local search, so be as thorough as you can when updating your profile. If there isn’t a profile for you to claim, you can easily sign into your Google account and create one. One thing worth noting is that users are able to make suggestions regarding your business such as hours, location, and business categories. To make sure your profile is accurate, claim your listing as soon as possible so you’re able to make all the necessary adjustments. This is the basic information regarding your business listing that includes your address, hours, business category, and the services you offer. Remember, your GMB profile is a top ranking factor for local search, so try to describe your business in detail as much as you can. You can add as many photos and videos as you’d like to your profile, so be sure to include them. Adding images of your products, physical location, and even members of your team can really help show off your business to users. This is where your customers can really give your business feedback. Since potential customers can see this, make sure you’re continuously monitoring your reviews. Reviews are another important ranking factor, which is why it’s important to respond to reviews — both positive and negative. Ignoring negative reviews can take a toll on your local SEO strategy. Are you closed on Christmas Eve? Instead of customers calling your business to ask these questions, they have the ability to see the answers in search results. This is convenient for both you and your customers! Posting on your GMB profile is a great way to build engagement with current and potential customers. Provide users with your current deals, share new blog posts, or update customers with any seasonal changes. Monitoring engagement with your profile has never been easier. By reviewing insights from your GMB profile, you can see exactly how customers are interacting with your business. You’re able to view data such as how customers found you, what search queries they used, and the actions they took once they saw your profile. Now that you have updated your GMB profile, it’s time to make sure your name, address, and phone number (also known as NAP) are consistent online. Any mention of your business online, along with these NAP components, are referred to as local citations. These can be found in business directories, industry-specific directories, and even on social media profiles. You should be monitoring your local citations so search engines aren’t confused as to what the correct NAP of your business is. It would take forever to manually find all inconsistencies of your NAP across the Internet. You can use tools such as Moz Local to manage your listings on major aggregators, search engines, and directories. You can update your correct NAP, monitor its consistency with Moz partners, and even remove duplicate listings of your business across a variety of directories. Here’s a list of other popular tools for monitoring your local citations. Once your current local citations are in a healthy state, it’s time to move on to building more citations. By building up these citations, you’re showing search engines that you have a legitimate business. As you gain citations on both local and national sites, you also build up the trust in your business. Check out this great resource of top sources to build local citations. Local citation and local link building can be very similar. Local citations are mentions of your business’s NAP, which may or may not link back to your site. On the other hand, local link building involves gaining backlinks to your site but doesn’t mean your NAP will be included. Like local citations, backlinks are used to verify the trust and authority of your site. Each backlink is like another site is “voting” for your site. The more backlinks, or “votes,” the better. With traditional SEO, gaining backlinks from sites with a higher domain authority (DA) was seen as more valuable. In local SEO, sites that could influence our local ranking might not have the highest DA. Their site might be the size of yours. Make sure to find out the authority of your competitors with a domain authority checker. Local business directories will list your NAP information and may even list your site. Unfortunately, most business directories give “nofollow” links. It’s still valuable to have these to diversify your backlink profile. Some may call this sneaky, but most would say this is the most efficient way to build links. Why take time to find all potential link opportunities when you can reverse-engineer your competitor(s) backlink profile? By doing this, you’re able to see where your competitors are obtaining their backlinks, whether it’s through directories, guest posting, or other link building methods. Mangools’s LinkMiner, SEMrush, and Moz’s Link Explorer are just a few tools you can use to review your competitor’s backlink profile. Can your business sponsor any local events? Do any local news outlets feature local businesses in their stories? When building local backlinks, you need to think of all the areas your audience could be searching for your business. Link building is already tough as it is, but your options are even more limited when you’re performing local link building. Below are some resources if you find yourself in a tough spot! When performing local keyword research, you are focusing on long-tail keywords. These will have a lower search volume but are the types of search queries your audience would be searching for. In KWFinder, just type in the keyword you would like information on. Then, you can choose the location and even the language you’re targeting. 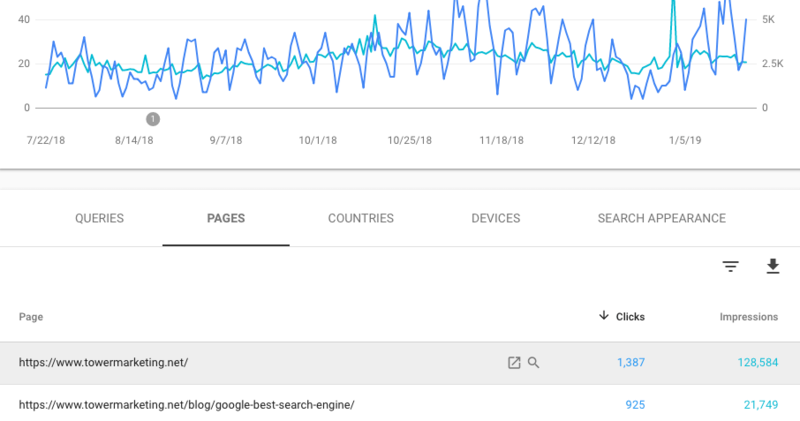 This will show you how difficult the keyword variations would be to rank for, their monthly search volume, and search trends of individual keywords. You can even change your options to look at Autocomplete variations and questions that include your keyword. This will give you keyword ideas that would be best for you to use within your page content. Just like Mangools, Moz Keyword Explorer allows you to see the metrics of any keyword you’d like to search. It then shows you the monthly volume, difficulty, click-through rate (CTR), and priority of trying to rank for that keyword. You can click on keyword suggestions in the left sidebar to navigate through potential keyword variations and their metrics. The initial metrics that are given to you are on a national level, so you have to dive a little deeper to find local variations of your keywords. 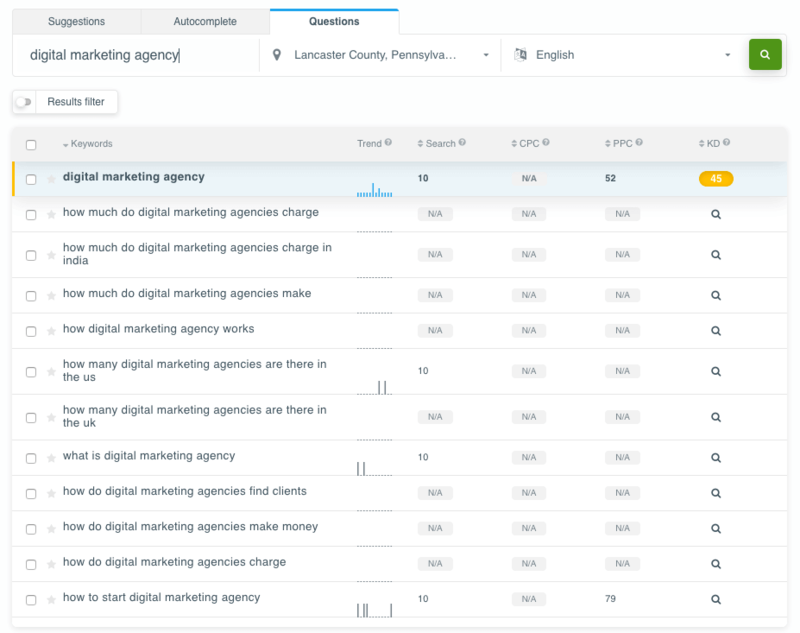 Once you find keywords you’re interested in, you can create keyword lists and monitor keyword rankings on both a local and national level in the campaigns section of Moz. What I love about Google Search Console is that you can see which keywords are bringing in traffic for different landing pages. Just log in to the Search Console, find the correct version of your site and click on “Performance” in the left sidebar. You can then explore different performance metrics of your site such as clicks, impressions, average CTR, and average position within a given time period. Explore the queries, pages, countries, devices, and search appearance tabs that appear underneath the graph to go even more in depth. To get started with keyword research, click on the “Pages” tab. Click on one of the listed URLs and then click on the “queries” tab right next to it. This will give you a list of queries that prompted that specific landing page to be shown to users. It also allows you to see the number of impressions and clicks the page gained within a given time period. 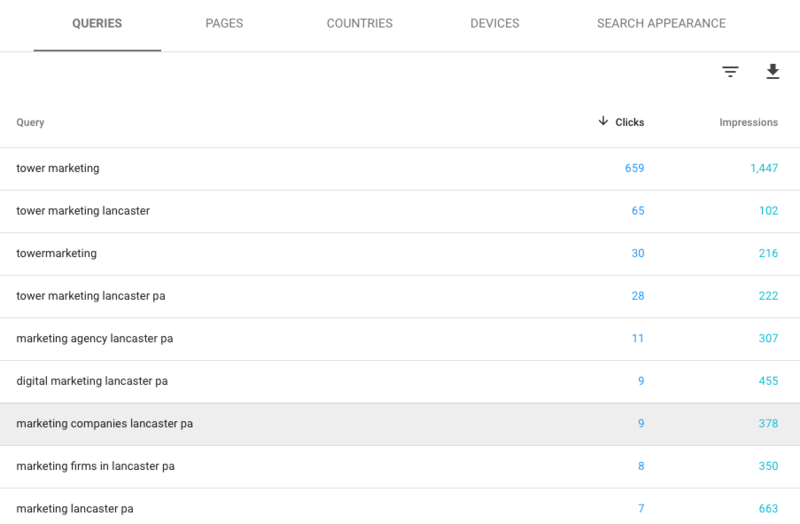 Make note of these keywords and use tools like KWfinder or Keyword Explorer to find local keyword variations with the best opportunity to incorporate into your content. In the next section, you’ll find out how to optimize your on-page content with these keywords. Once you have your local keyword research complete, it’s time to put them into your content. A great way to target those local keywords is to create local landing pages if you have more than one location. With these landing pages, you can target specific geographic locations to put more relevant content in front of your users. It’s important to note that you shouldn’t create these for the sake of creating them. Only create local landing pages if your content is going to give your users value. Copying the same content and only changing the name of the location can cause search engines to find duplicate content issues on your site. Schema markup can be a way for search engines to better understand the content of your site and display it in a more prominent way to users as rich results. Although there are various schema markup types, JSON-LD is recommended by Google. You can view this Google reference guide to see examples of the JSON-LD markup. 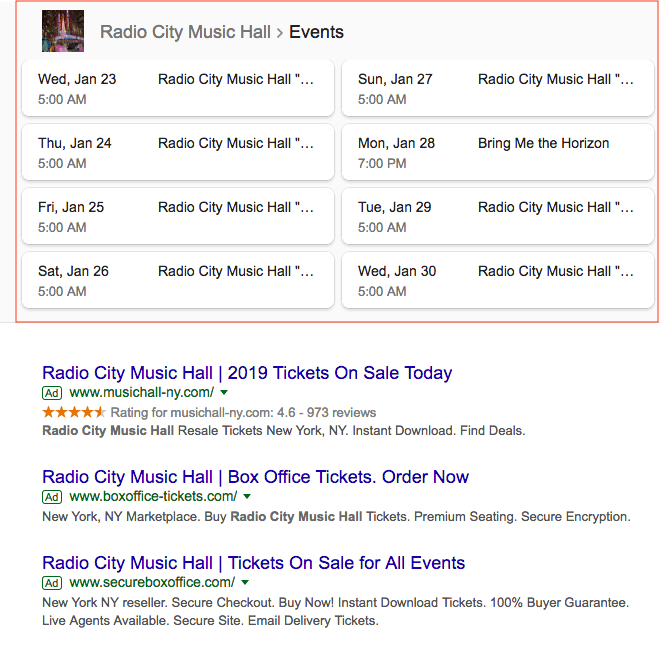 Structured data markup can get confusing when trying to implement it on your site. There are many plugins available to inject the markup into your HTML, or you could get assistance from a developer. Whichever way you choose to do it, you can validate your markup using Google’s Structured Data Test Tool. 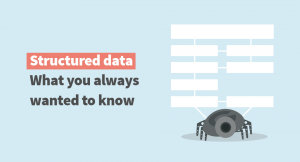 Are you new to the Structured data? Check the SEOpedia guide. That might’ve seemed like a lot to take in, but gaining traffic through organic search is tough. When you’re competing with brands that have built up more trust and authority online, it becomes even more difficult to rise to the top of search results. 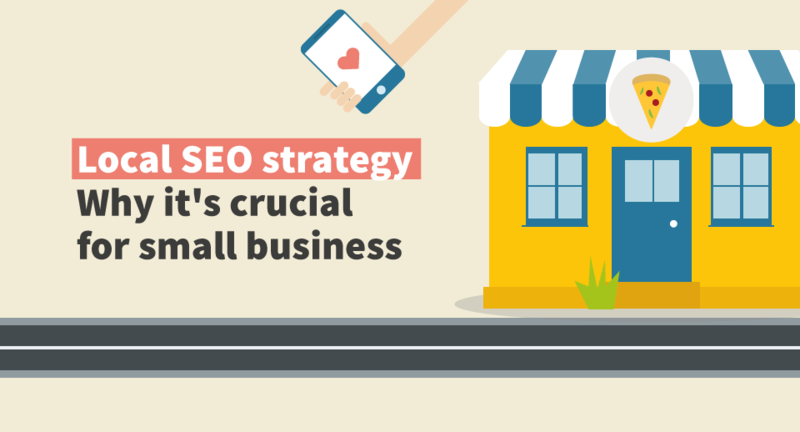 By following these local SEO strategies, your small business is sure to show up in that local search pack and above organic results. Now get started on optimizing your website for local search! Do you have any tried-and-true local SEO tips? Let us know in the comments! 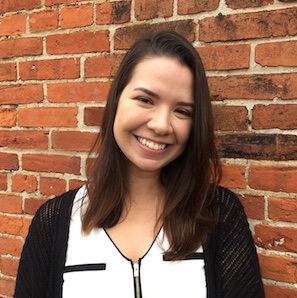 Kaitlin Tomison is an SEO Specialist at Tower Marketing in Lancaster, Pennsylvania. After graduating with a degree in psychology, she uncovered her interest in the field of digital marketing. She has become a master at coordinating with others in content marketing, social media and web design.